The Annual Maryland State Fireman's Convention was held in Ocean City from June 16, 2018 to June 22, 2018. 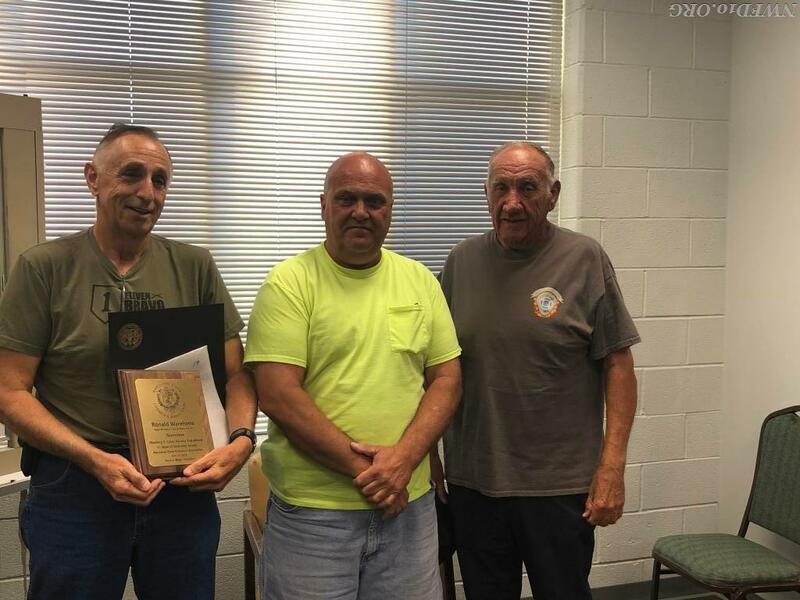 During that time two members of the New Windsor Fire Department were honored for their service to the Department. Both Ronald Warehime and Richard Warrenfeltz were honored as nominees for the MSFA Marberry F. Gates Service Cup Award. To be nominated for the Marberry F. Gates Service Cup, the member must have 50 years of CONTINOUS service to the organization. This year winner of the prestigious award was Frank Underwood. This award is sponsored by the Rockville Volunteer Fire Department. Congratulations to Ronald Warehime and Richard Warrenfeltz, on your nomination for this award, and most importantly thank you for your service to the department and community.